Have you been to the Island at Pigeon Forge yet? If you’re heading there at night you sure can’t miss this landmark – it’s the Great Smoky Mountain Wheel, a 200-ft tall observation wheel. 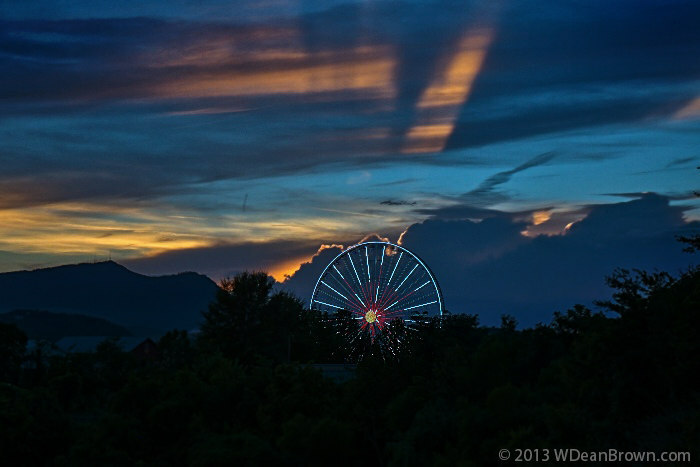 It fits right in with this fabulous Smoky Mountains sunset scene, in this picture taken by area photographer Dean Brown.